D-Day for US car makers | What Car? 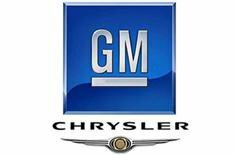 General Motors and Chrysler will present their restructuring plans to the US government today. The pair, who received emergency loans from the government at the end of last year, must present their plans for survival today in order to secure more funds. If the plans are not approved the companies face bankruptcy. Whatcar.com will carry a full report of the outcome of the meeting.